How are you currently marketing your law firm? Trade associations? Networking groups? Avvo? Billboards? Word of mouth? If your firm is anything like the majority, you’re probably missing out on the massive potential that comes with an effective way to generate more cases from your firm’s digital marketing strategy. But don’t fret, that’s exactly what I’m here to help you clear up today. I’m writing this article to provide you with a valuable tool—an incredibly straightforward guide to building a powerful law firm marketing strategy. No frills, no excess, just what you need to outline your plan of attack. These sections are full of tactics that have been proven to deliver more clients and boost profits, so pay careful attention. It’s about to get VERY interesting! The world of marketing has changed dramatically over the past decade. Your prospects are trusting traditional advertising less and less, meaning it costs more and more to achieve a diminishing result. The overwhelming consensus of expert opinion is to embrace the way of today, and more importantly, the way of tomorrow. That, my friends, is digital marketing. To play the game, you’ll need a website. Not just any site, but a market-dominating site. Your law firm marketing should revolve around it, and after you’re done reading this post, I believe it will. There are plenty of free and paid resources that will help you build your website, but you need to avoid them at all cost. If you want to utilize your site as a marketing tool, you’ll need more than a template can provide. Your site must align with your specific target buyer’s journey and your ability to provide value up-front with no-obligation. Every website should start with a goal in mind. For example, your goal might be to generate more leads. With this law firm marketing goal in mind, you’ll be able to write copy, design a layout, and include things like landing page content offers and popups that all work toward that common goal. Speaking of landing pages, including these marketing tools in your site design is a vital component of your law firm marketing success. You’ll be able to design specific pages for different lead generating activities and optimize them to suit your prospects and clients (through testing). You’ll also want to optimize your About page. Your About page needs to appeal to your customer, as well as impress, build trust, and make them want to know more. The more they know, the more they like, and the more likely they are to engage you or become a customer. It’s one of the most important pages on your website. As more of the population conducts their online affairs from a mobile device, the importance of a mobile optimized (responsive) website continues to grow. If you’re not marketing on mobile, you’re missing out on a vast segment of your potential audience. Law firm marketing has gone mobile, make sure you do too. A CTA is a call to action, something that tells your website visitors what you want them to do. Your website should have at least one on each page and be aligned with the content around it to get people moving in the direction you want. Testing popups on your site are essential. While a few of your prospects may consider them to be annoying, their positives greatly exceed their negatives. If what you offer can help your visitors, you need to get the solution in front of them. Pop-ups work. It also breaks the website flipping cruise control that visitors can get stuck in their buying journey. Don’t miss these case studies about their efficacy. You’ll be able to generate far more leads with the help of popups, and leads are a highly valuable commodity in law firm marketing. One of the hardest parts of law firm marketing is building trust. Digital marketing makes that easier. Highlight recent reviews and testimonials. Use social listening tools to see where your firm is mentioned online and you’ll be able to showcase the positive things your customers are saying. Additonally, including your brand promise or guarantee in a prominent location is an incredibly important aspect of the trust building process. Your market-dominating website needs traffic, and one of the best ways to drive that traffic is by providing exceptionally valuable content to the right audience. 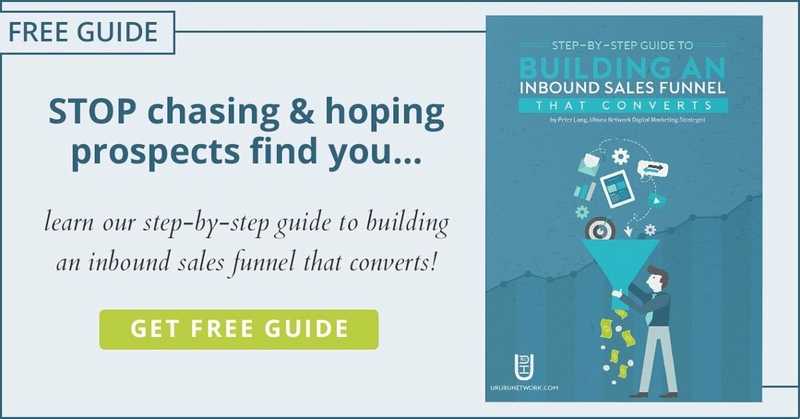 By creating informative and engaging content based on what people are searching for, and providing information to answer a question or solve their problem, will build an inbound sales funnel that your attorneys can convert. Practicing law has always been about helping people, and law firm marketing should be no different. When it comes to content marketing, your priority should be on educating people. 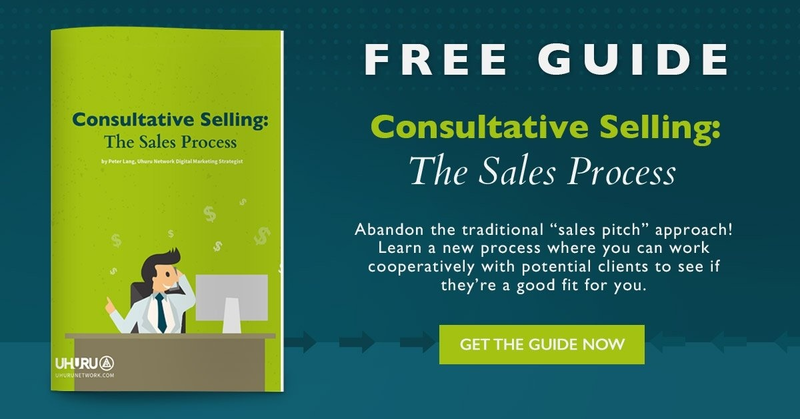 In this way, you help them solve problems, build trust, and begin to develop a relationship with your prospect that outbound marketing simply cannot match. Today’s law firm marketing is much different than that of decades past. Putting forth the resources to educate your prospective clients is one of the best ways to develop their trust and showcase your expertise. In order to educate your prospects, you’ll want to create content in the form of blog posts, white papers, case studies, etc. The blog posts, if written according to your blog strategy, will rank in the search engines, driving traffic to your site and putting people in touch with your firm. If you create blog content, give people the opportunity to ask questions in your comments section. Then take the time to answer them quickly and thoughtfully. These are the opportunities to truly connect with your prospects. You’ll also want to create one or more detailed resources that pertain to your field of law. One of the most effective law firm marketing tactics is the free legal resource obtined on your website. The point is to generate a helpful resource that your clients can use to help solve their problem. You’ll be able to ask for an email address (and more) in exchange for the right content offer, which puts you in the position to reach out to those prospects with an automated email chain. I’ve said it before, but if a picture is worth a thousand words, how many is a video worth? Show your clients who you really are by creating helpful content in the form of “how-to” videos. Walk your prospects through the processes involved in your field of law and answer the hard questions. Most of the public has a very limited understanding of what you do, so help them understand. Ask yourself, “What questions do our clients have before working with our firm?” Create your videos around your answers. The buyer’s journey is especially important in law firm marketing. In many fields of law, people don’t have the familiarity that they would with a plumber or even a doctor. For this reason, creating content that answers the many questions they’ll have through each of the stages of the buyer’s journey is a vital component to your successful content marketing strategy. Finally, work to publish evergreen content or content that will be helpful and relevant 1-5 years from when it’s published. Creating this type of content means getting the most out of your content marketing investment. The final component to powerful law firm marketing involves a concept that will be familiar to most: paid advertising. Only this paid advertising is different in that it’s highly targeted, making if far more efficient and effective. Facebook boasts a usership of over 1.65 billion people, more than 1 billion of them logging on every day. That means it’s likely that a large segment of your clients are very involved in with the social media juggernaut. It also means that Facebook knows more about your clients than just about anyone else. This is the kind of information you’ll be able to use to advertise with laser precision. Take advantage of Facebook’s powerful ad targeting options for your law firm marketing with these advanced Facebook ads strategies. Facebook allows you to target so specifically that you’ll likely run out of people to market to before you run out of targeting parameters. The reason I’m telling you this is that, with the proper strategy in place, Facebook allows you to create some of the most efficient and effective marketing campaigns available. Define an audience that resembles your ideal buyer, current clients, or both, and then market to people who are far more apt to be interested in what you’re offering. Make sure to avoid Audience Overlap, a common Facebook marketing mistake. Another extremely effective tool in your law firm marketing arsenal should be the Facebook Pixel. When added to your website, this simple line of code allows you to track all sorts of actions. What does this mean? It means you’ll be able to market specifically to people who have already visited your site, dramatically increasing the chances of a conversion. The pixel isn’t like the common browser cookie. The pixel tracks at the Facebook account level. That way you can retarget the user on any device they use to access Facebook. You’ve had a taste of what truly effective law firm marketing looks like. Now that you’re in the know, it’s time to take your firm’s marketing to a higher level; a level that delivers powerful, trackable results and an unmatched level of efficiency. Let these powerful methods guide you, step into the world of digital marketing and don’t look back. Thanks for these tips on marketing a law firm. I especially like the idea of highlighting recent reviews. I need to do a better job of marketing our attorneys, so it’s time to hop online and see what people are saying about us.